Spice up your Online Post by creating video cards. Add your own video content to any EventKingdom card. In addition to EventKingdom’s animated envelopes, you can now add videos from Youtube to create video cards and combine video content with other EventKingdom tools, like personal addressing, reply and guest management etc. Please click on HOW TO to see the step by step process. 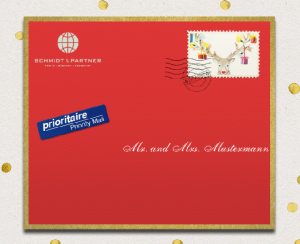 This example displays a red envelope with a golden frame and includes a Christmas Stamp, a prioritaire sticker and also a company logo. You can design all these features easily in the DESIGN tab of your event. Additional a Christmas green and white lining was chosen to decorate the inside of the envelope and a beautiful golden background was chosen for the whole page. The Video card plays immediately once the card has fully appeared out of the envelope. WHAT VIDEO PORTALS CAN BE USED? If you have your own video content, please send us the link to your video and we can check how best to integrate it. This service costs extra. Videos can be integrated into any text field on your EventKingdom card. You can therefore integrate your video into an existing design or expand the text field to cover the whole card. This entry was posted in Uncategorized and tagged video, video integration, video-cards, video-content on November 22, 2017 by eventkingdom. 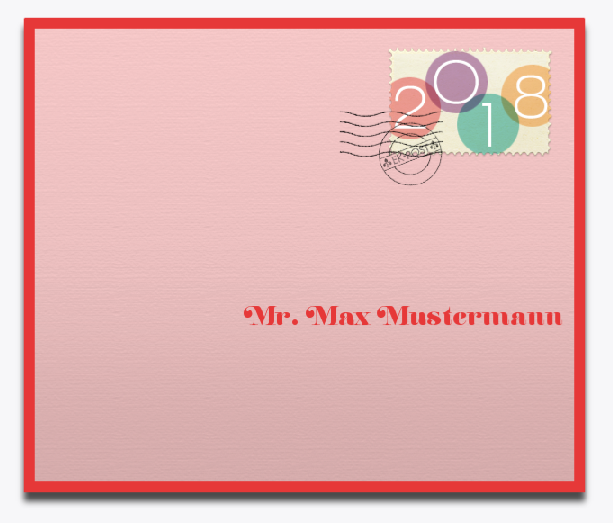 In addition to EventKingdom’s animated envelopes and card turning effects, you can now choose designer animated cards from our collections Animated Invitation Cards or Animated Cards. You can also use your own animated GIFs to create your own special animated cards. Both options can be combined with other EventKingdom tools, like Personal Addressing, Reply and Guest Management etc. You can add your own GIFs to one of our beautiful Designer cards (as displayed in the below example) or you can upload a GIF in the exact format of the card and create your own animated cards. can be easily added to your cards by using the ADD LOGO/IMAGE option. This example boasts a blue envelope with cool silver frame. 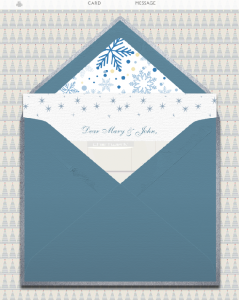 The inside lining has been decorated with a Christmas motive full of blue colored snow flakes. 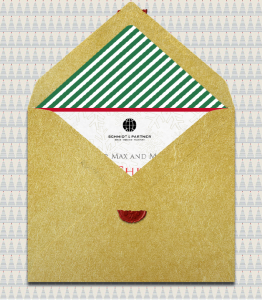 The card – a Designer Christmas card by one of our NY designers “Pickett’s Press” with the added GIF on it – slides out of the envelope and once the card fully appears the animated GIF begins to play. Animated GIFs enhance our Online Post and Designer cards very well and we are extremely proud to present this new feature to you! We are preparing a collection of wonderful animated GIF cards. You also can upload your own animated GIF using the ADD LOGO/IMAGE option. Visit Giphy.com, find the GIF you like, download it (We recommend choosing the “Social” option) and upload it to your card using the ADD LOGO/IMAGE option. You can also easily make your own GIFs, e.g. using your iPhone. Go to the App Store and search for Giphy Cam. Download Giphy Cam for free and make a GIF easily using the camera on your phone. Save to photos and then send your GIF to an email address, so you can save it to your computer and upload it using the ADD LOGO/IMAGE option. This entry was posted in News, Uncategorized and tagged Animated cards, Animated GIF, GIF cards on November 16, 2017 by eventkingdom. Add frames in the color of your choice to any color envelope. (Click images to view and also see our new Video Integration on a card! 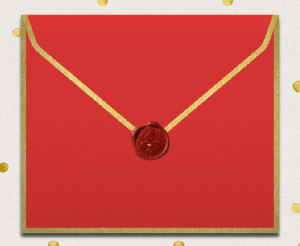 The example envelope boasts a special gold paper, a Happy Holiday stamp, a priority sticker, a company logo and the addressing of the recipients. You can design all these elements to your wishes and add as many logos as you wish to your envelope. Golden envelope opened with green and white lining, wax seal and a card inside. 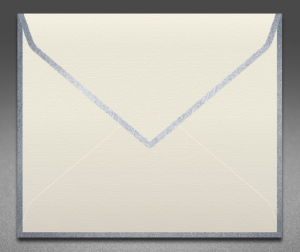 During the envelope animation, the envelope turns, slides down and then opens. The lining you chose is visible and the card you designed appears and slides out of your envelope. Design your envelope to your wishes, e.g. choosing the “paper” color and adding a frame, gold, silver or in the color of your choice. 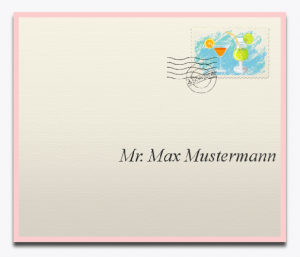 You can upload your own stamp or choose one of our designer stamps. You can add the priority sticker to emphasize the priority of your sending and of course personalize your sending with the correct addressing of your recipient. The back of your envelope gets displayed shortly before it opens and can boast an elegant frame along the edges and also a wax seal. 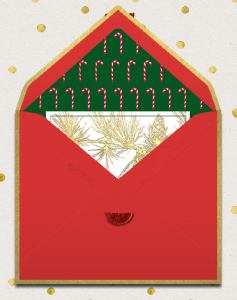 Animated red envelope with golden frame opening with candy cane lining and card appearing. 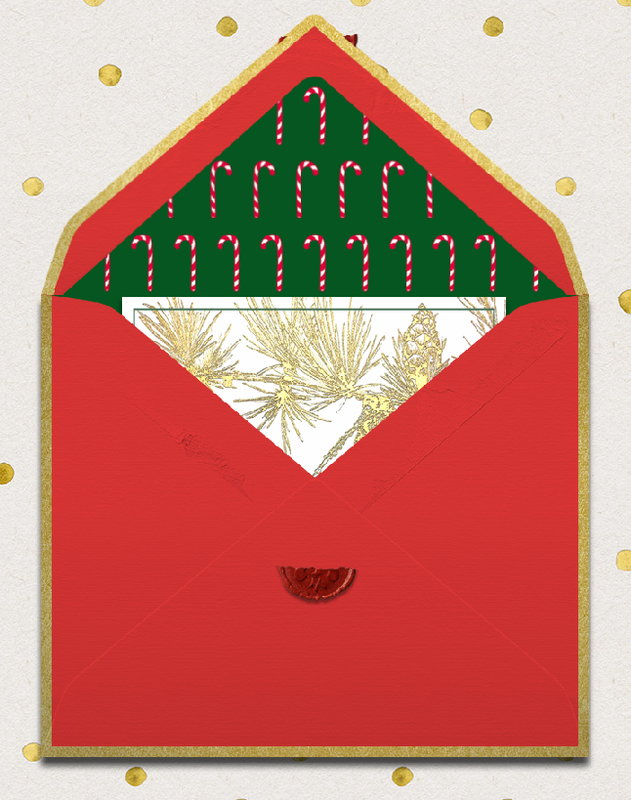 Your envelope opens, displays your chosen lining and the top of your card, which then slides out of your envelope. If you have a frame, the frame is positioned elegantly along the edges of the envelope. 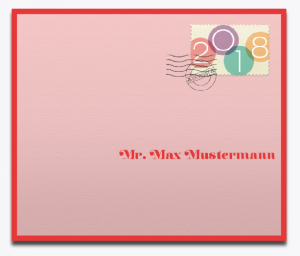 Animated Envelopes for every Occasion and Anniversary! Get inspired by this beautiful creme envelope with silver frame and invite to your anniversary celebration or to any other special occasion. 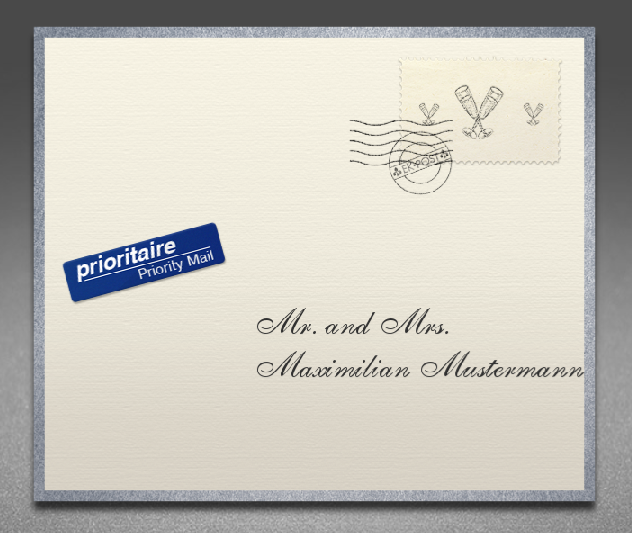 You can additionally add a priority sticker, design your own stamp and also add optional logos to your envelope. Before opening the back of the envelope is displayed. When chosen, the frame is elegantly placed along the edges of the envelope. The color of the frame can be silver, gold or in the color of your choice. Creme envelope with silver frame opened showing silver lining with champagne glasses and the top of a card. 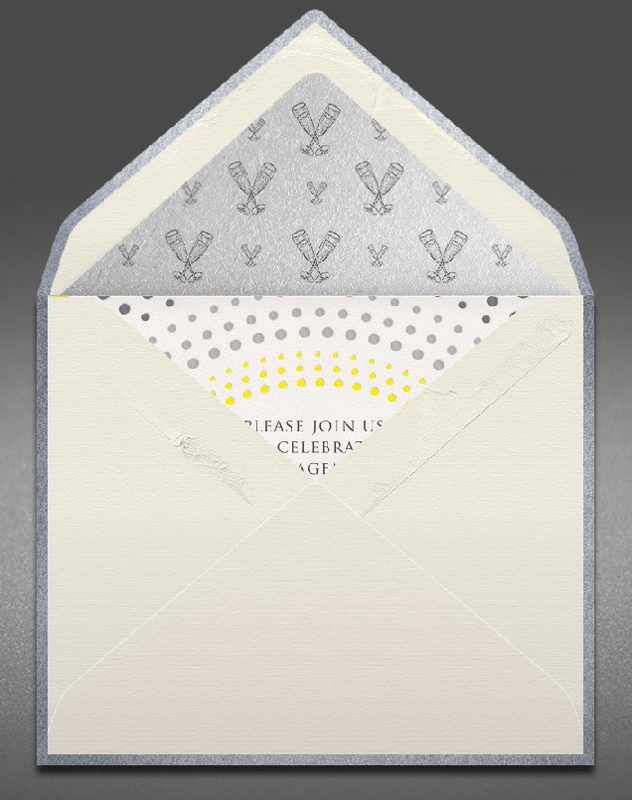 Your recipients/guests will love the envelope animation with all the beautiful details, like the silver frame, the silver lining with champagne glasses and the top of the card, which slides to be displayed. You can of course design your dream envelope including frame color, lining design and color of the envelope. 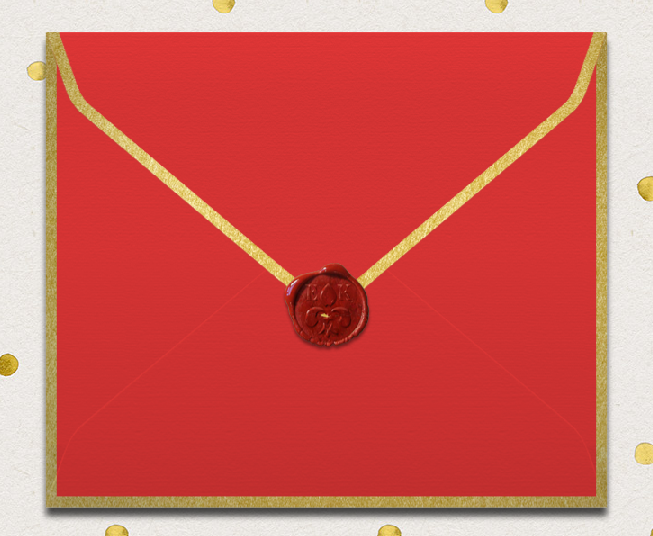 To give the envelope an even more classic touch, you can add a wax seal to the back. Card view with envelope on the left. After the envelope animation the first card appears – centered on the page – and the envelope is partly visible on the left. If there is a 2nd card, the card is placed partly visible on the right. 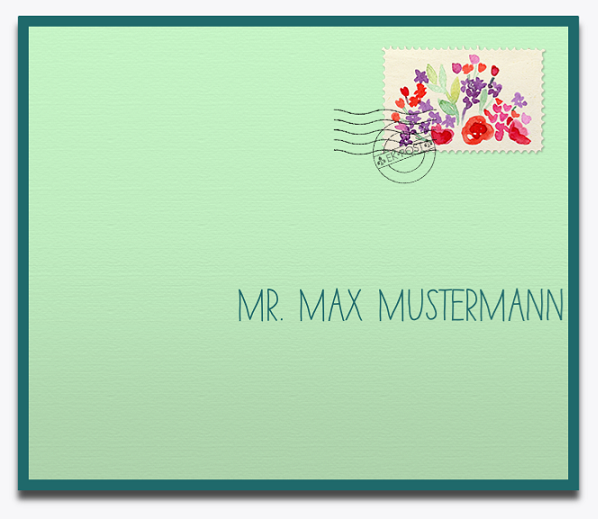 Animated Envelopes in every Color Variation! Charm your recipients with light and lovely colors. Charm your recipients with a tone in tone color combination. Choose a stamp of your choice or upload your own. Format the name of your guests to your favorite font. Or choose a tone in tone color combination in green! For memorial events you can also set the envelope frame to classic black. This entry was posted in Uncategorized and tagged animated-envelopes, digital envelopes, envelopes, online envelopes on November 2, 2017 by eventkingdom. We have improved our guest messaging service and look forward to hearing your feedback. Messages from your recipients/guests can still be found in your INBOX on www.eventkingdom.com and can also still be forwarded to your profile email. Where to find the new Guest Messaging feature? Additionally all messages – SENT BY YOU – and – SENT BY YOUR RECIPIENTS/GUESTS – are displayed in a MESSAGES tab inside your event. Each message is displayed as a chat dialogue. This makes it much easier for you to follow the communication with your recipients/guests. You have a much better overview of your guest’s messages and act accordingly. In addition to all private messages – all your group messages, e.g. reminders like reply or event reminders are also displayed on a special group message tab. This will help you keep track of any reminders you might send to your recipients. When does the Messages tab work? The messages tab works for all customers and events, who send or receive messages. Once the first message is sent – either by the sender or the recipient/guest – the messages tab gets activated. The same here. If a recipient of your paper invitation visits the reply page (with REPLY CODE or on Public Event) and replies with a message – this first message will activate the message tab. If you as sender decide to send the first message – e.g. to send an event reminder to all accepted (green) guests, then you will activate the messages tab. Please note that replying to messages in the INBOX display EventKingdom as sender name. If you are an Enterprise Customer and this is not in your interest, please only use the messages tab to reply to messages. The sender name of a message here matches the sender name of the recipient list of this event. Hope this article was helpful. 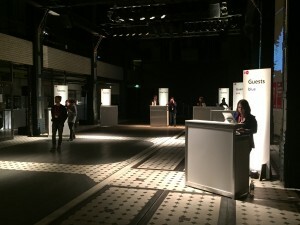 This entry was posted in Uncategorized and tagged guest care, Guest chat, guest messaging, messaging management on December 12, 2016 by eventkingdom. Benefit from EventKingdom’s proven Event Management, including recipient handling, contact management, additional guests, sending monitoring and guest management. All these features are included for free in EventKingdom personal online sendings with event management. All event management features are also included when sharing a public event or when combining a paper invitation with an online version for reply and guest management. Import using Excel or vCard file or from other systems like gmail with quality control. 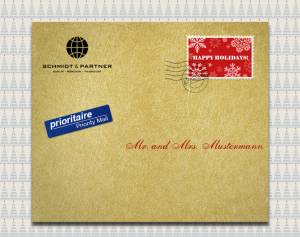 Address your recipients personally on animated envelopes and additionally on the cards. Send at any time or prepare your recipient list and schedule a time for your sending. 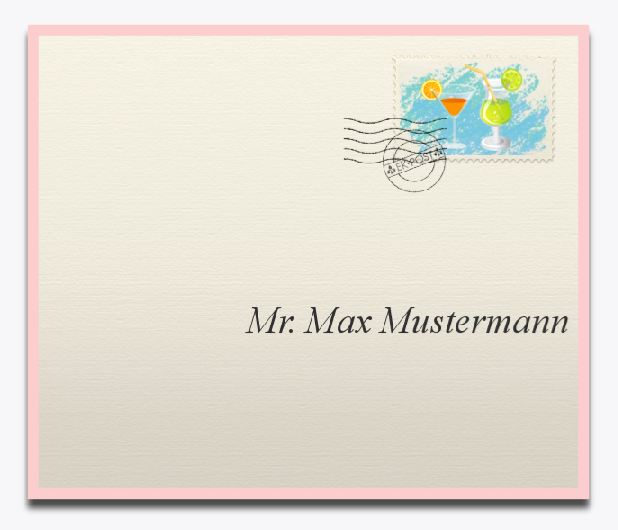 Create reply codes easily for personalized paper invitations. View which recipients have received your mailing and act accordingly. View who has replied and edit the reply status if needed. In addition to your main invitations, you can create flexible queries for whatever you need. These can be separate workshops, dietary requirements, bus transfers etc. Set a guest limit for your event or for each event in case you are organizing a multi invitation event. Choose to also enable a waiting list, so if the limit was reached – your guests can register to the waiting list. Send reminders and messages for free and enjoy chats with your recipients. Allow recipients to come accompanied or recipients to edit a number of set guests. Enjoy statistics for total accepted, declines and potential guests etc. Enjoy easy and quick Check in wish QR Codes or Quick Search. Invite co-organizers and organize your event easily in a team. Export your list as an Excel file with all needed information. Our export is optimized for the use of standard checkIn tools. All above event management features can be used for events with multiple invitations, e.g. company event with multiple dates or work shops or a side VIP invitation – Weddings with individual invitations for Rehearsal Dinner, Wedding Ceremony, Wedding Reception and Brunch. Please visit (multi invitation events) for more details and “example invitations” to view live examples. After 10 years of optimizing www.eventkingdom.com our recipient monitoring and guest management offers everything you need – online and paper. This entry was posted in Uncategorized and tagged Event management, event planning, reply management on December 7, 2016 by eventkingdom. EventKingdom’s CheckIn assistant was launched in 2017 and has been used heavily by customers such as Berlinale (Germany’s largest Film Festival), Hermes World or Premium Exhibitions, Berlin’s largest fashion festival. 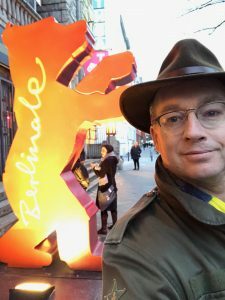 We are happy and proud that Berlinale (Germany´s largest Film Festival) expanded their usage of EventKingdom services, including our Check in assistant in 2019. In addition to “Berlinale Talents” many new departments of the Berlinale organization, e.g. “European Film Market” used EventKingdom services, ranging from online invitations, online registration and check in. In 2019 there were approximately 5 times more events using EventKingdom services than in 2018! The founder of EventKingdom, Patrick von Ribbentrop visited some of the events and spoke with the Check in teams to hear their feedback and what can be improved. Feedback was excellent and Patrick came home with some optimization ideas! 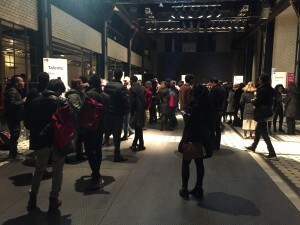 Patrick made some photos and videos or EventKingdom Check in in action! Below a photo of a guest arriving with her EventKingdom Wallet Pass open ready to be Checked in easily and quickly. 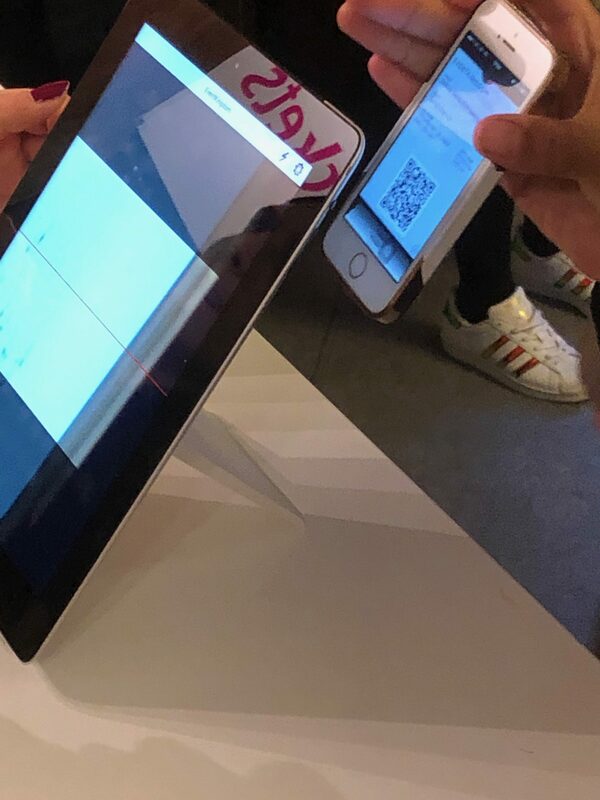 In case a guest arrives without his/her EventKingdom ticket with QR Code, the Check in team can use the Quick Search option to quickly find and check in a guest. Please view a live video here. 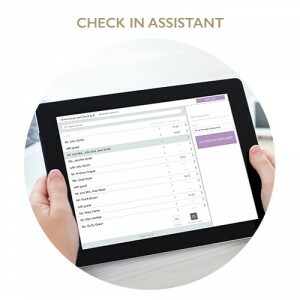 Our Attendance Management service can be part of every event. It is included in both Professional and Enterprise plans and can otherwise be booked per event. Option 1: In addition to online registrations and guest management. All you need to do is go to the CHECKIN tab of your event. You can immediately access a link to your checkIn product. You can also share emails with any device. On each device just click tine link which opens the CheckIn Assistant. If you did not use EventKingdom to send your invitations or gather RSVPs, you can still easily use EventKingdom to offer professional checkIn services at the door. This will take you directly to the guest list where you can upload your guest list, including “accompanying guests”, “number of guests”, “reply status” etc. You can then go to the CHECKIN tab and share the checkIn service easily. Yes, additionally you can upload photos after your event and share them easily with your guests. You can also easily create an online thank you card or order beautiful paper thank you cards. Each event has a main tab on the right side called CHECKIN. Here you can find the link or email to activate your checkIn and display it on the device(s) of your choice. We hope this article was helpful and will help you save time and money and additionally impress your guests! If you have any questions, please contact us or our partners. This entry was posted in Uncategorized and tagged Attendance management on June 29, 2016 by eventkingdom. Are you interested in sending beautiful online post by EventKingdom with your own custom URL and from your own custom email address at a Whitelable Service? If yes, please keep on reading! After purchasing the Enterprise plan we will setup your custom URL. For the subdomain optimization to work your IT needs to make some DNS entries. This is generally not a problem, but needs to be done on your side. If the subdomain optimization is not possible – since your IT e.g. needs to be involved – we can also create a new domain for you, e.g. www.mycompany-events.com and custom sender email, e.g. events@mycompanyevents.com. This can take up to 5 working days. The Enterprise Plan also includes the removal of the EventKingdom Logo in the event emails, recipient view in browser, reply confirmation PDFs, wallet passes etc. Your company logo can be integrated instead. When sending online post by EventKingdom, you will be able to send from your custom email and your recipients and guests will see your custom URL. No more EventKingdom. 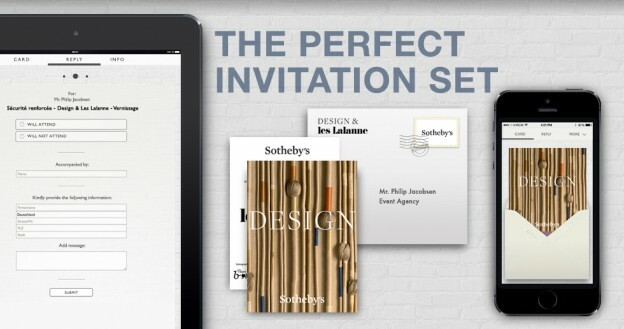 Please note though that the most important elements of a successful online invitation are the sender name and email subject. Both of these can be customized by you for each sending independent of the plan you have. 90% of our customers – corporate and private – are very satisfied using our standard or professional plans. The decision to book the Enterprise plan is mainly a marketing one. Technically, especially concerning the success of your online sending, there are no differences in quality between our standard, professional or enterprise plans. If you want more of your own company and less EventKingdom then the Enterprise plan is certainly the correct choice for you! Generally, one of the main benefits from sending online post by EventKingdom is that you see who has and has yet to receive your sending. We recommend to resend the sending after 4 to 5 days to those who have yet to receive it. If recipients still have not viewed your sending, you can use the free “send to yourself” option and forward personalized sendings for each recipient through your own email system. This is bound to some additional effort of course, so we recommend doing this for important recipients. Thanks to this free “send to yourself” option, we can assure you that every recipient shall receive their personal online post sending at the price of one sending. This entry was posted in Uncategorized on June 8, 2016 by eventkingdom. The function team collaboration enables you to invite colleagues, customers, friends, agencies, the bride or the groom to co-organize your event. Each invited co-organizer receives his/her co-organizer invitation email and can register a new account at EventKingdom. Each invited co-organizer has automatic access to the co-organized event and has all needed rights to co-organize the event successfully. All co-organizers can edit the design of the cards and envelope, can make changes to the reply page settings and manage the recipient list. All co-organizers can access and edit each recipient on the recipient list, independently of who added the recipient. 3. Actions are tracked better to see which actions were taken by which co-organizer. The co-organizer function is e.g. also helpful for agencies. Agencies can setup events including design, reply page settings etc. and later invite the customer as co-organizer. The customer can then upload the recipients, purchase stamps and send. If the agency is supposed to also manage the recipient list, then the customer can have his/her own access to the recipient monitoring and guest management features on the recipient list. (We recommend this, since it’s fun! – after sending, all recipients start to change their color status, from first “delivered” (white), then “viewed” (yellow) to “accepted” (green) and “declined” (red). Please view our guest management example page for more info. 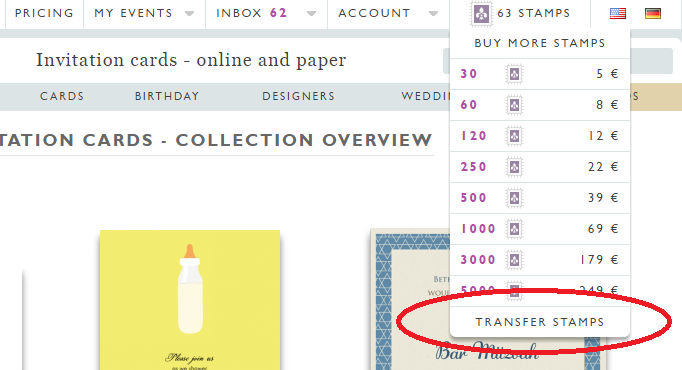 An often used feature for co-organized events is the ability to transfer stamps to another account. This feature is included in the professional plan. “Stamps transfer” is helpful if one co-organizer is setting up the event and should also take care of the billing, e.g purchasing stamps. This is often needed if there is only one billing department in a company or only one family is financing the wedding invitation for example. The responsible account can purchase stamps and then easily transfer them to other accounts at any time. Help how to transfer stamps to other accounts. We hope this article was informative and helpful! This entry was posted in Uncategorized on May 25, 2016 by eventkingdom. Benefit from our public event option and make use of your beautiful EventKingdom online post sending in every possible way, e.g. using your own mail program to forward your sending as you wish, linking your newsletter or sharing it on Facebook, Instagram, or Twitter. After setting up the public event option you will have access to a link or email, which you can use, forward or share as needed. You can keep your event open or you can secure it with a code. Both options link and email are not personalized and show the event name on the animated envelope. Each visitor can reply on the reply page using their name and email address. All replies are grouped in the event’s recipient list. If you don’t set a guest limit yourself, there is no limit to your replies. In addition to sharing the unpersonalized sending you can of course always add recipients to your recipient list and send out private, personalized emails. This makes sense, if you have some more important recipients you wish to address personally. The rest can register as needed on the public event. You would rather send one invitation email to one company email address than upload all your employee emails to EventKingdom. Your company email is setup to automatically forward an email to all employee emails (e.g. 5000). All employees receive the online post invitation and can reply with their name and email on the public event reply page. The number of replies is settable by you. Of course, only people, who have access to the invitation email, can access the public event and reply. This feature can save you money compared to sending e.g. 5000 personalized online post invitations. So, if personalization is not so important, then purchasing the Professional plan which offers this public event option could be the smart thing for you to do. A company wanted to integrate the EventKingdom envelope into their newsletter and connect it to an online post invitation. The company wanted to use it’s standard tracking tools within it’s existing newsletter system. This is possible when you purchase the Professional plan, which contains this public event featue. After purchasing the Professional plan, you will have access to a link which you can add to any image, e.g. 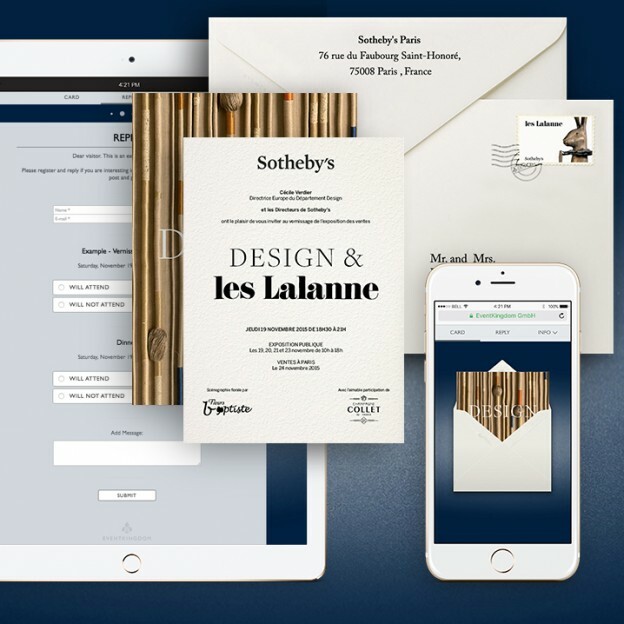 a digital envelope in your newsletter. Your newsletter recipients can then access the online post sending and reply with their names and emails. You can use your existing tracking system to track all clicks on the image in your newsletter. Replies are neatly grouped in your recipient list on EventKingdom. A customer wanted to send a beautiful online post save the date to their recipient list, but did not want to upload their recipient list to EventKingdom. This is possible via the Professional plan. 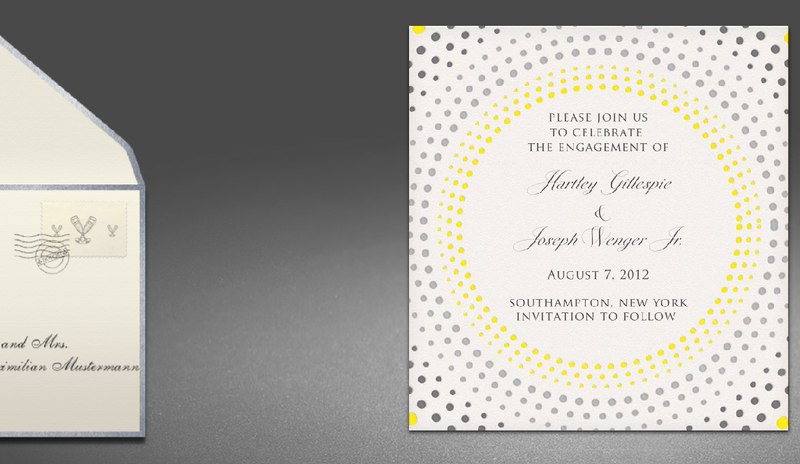 After purchasing the professional plan the customer was able to send himself an unpersonalized online post save the date email containing the design they chose and finalized. They then forwarded this email to their recipient list. All recipients were able to save the date and add a message if necessary. A customer wanted to send paper invitations and offer an online version for event information and RSVP. This is possible within the Professional plan. After purchasing it you can access a link on the reply page of your event. You can use this link as you wish, e.g. adding it to any domain you have. You can also ask us to organize an event domain for you. After setting up the domain the customer printed various paper products, such as flyers, posters, invitation cards etc. and included the domain for online access on the printed paper products. Any person, who has access to the public event domain, can reply with his name and email. Limits are settable by you. This example is similar to example 4. In addition to printing the domain on the reply card or poster, you can add a QR code. Your recipients do not need to type in an event domain, but can access the online event version quickly with any QR Code reader or e.g. with the QR Code reader inside the EventKingdom app. Paper send out with reply codes for online registration and guest management. This feature adds access security to your online event and limits the registrations to the invitations you sent out. To read more please see our article “Paper invitation with personalized codes“. 1. After purchasing the Professional or Enterprise plan please go to the REPLY PAGE of your event. 2. In the left side admin panel please click on EVENT ACCESS and choose “Public access”. 3. You will see two buttons GET LINK and GET EMAIL. GET LINK will show you the public link to your event, which you can integrate as needed. GET EMAIL will send you the public email described above, which you can forward as needed. We hope that you found this article interesting and helpful. If you have any questions please do not hesitate to contact us. This entry was posted in Uncategorized on May 24, 2016 by eventkingdom. EventKingdom enables you to organize a multi invitation event, f.g. an event with more than one reply option. This can be very helpful for a Wedding with multiple invitations or a business event with multiple workshops, showings or separate VIP invitation. A large benefit is that you only need to send one email (or one paper card) and can give your recipients the choice of various reply options. All replies by your recipients land neatly on one recipient list. Additionally there is an option for inviting one recipient to all events and other recipients to only defined ones. You can also set guest limits per invitation and add a waiting list per invitation (in case the limit is reached). 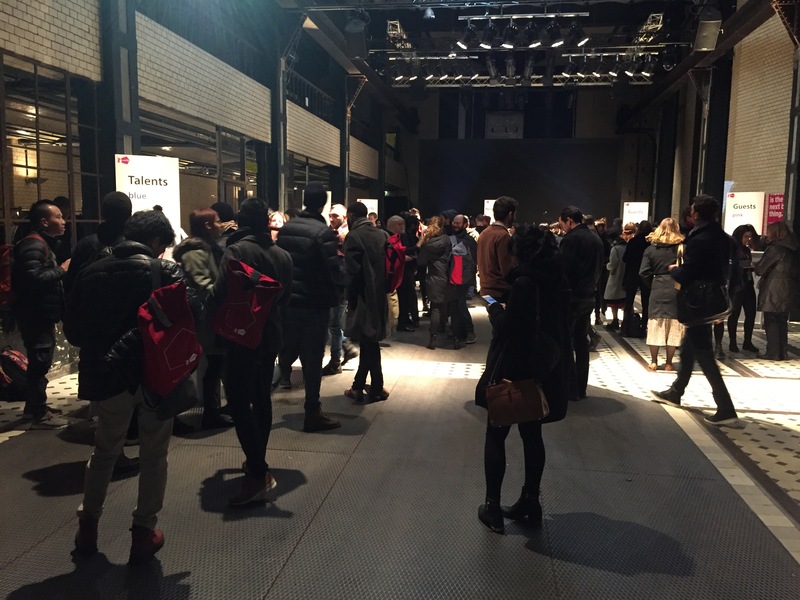 For impersonal access (open event) each guest who visits your online registration event can reply to all options. For personal access when using reply codes – you have the possibility to show reply options to selected guests, e.g. 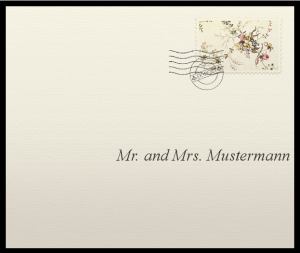 a wedding invitation with different guest lists per event or a corporate invitation with a special VIP invitation. Only the VIP guests see the VIP invitation reply option. The feature “multi invitation event” is included in our PROFESSIONAL PLAN. You can find more live examples on these helpful pages: Corporate event examples and Wedding planning examples. 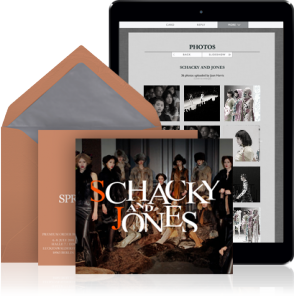 The fashion company Schaky & Jones invited to their fairs in Düsseldorf, Berlin and Munich. They sent one email to all their partners, customers and the press. All recipients could choose which fair they wanted to attend. 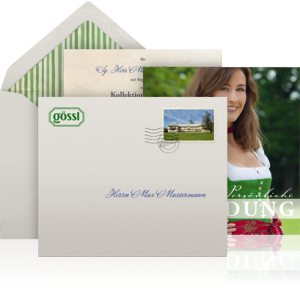 The fashion company GÖSSL invited to a partner day and benefited from the multi invitation option. All partners chould choose the option that suited them best. The wedding couple invited to their Rehearsal Dinner on Friday evening, on Saturday to their Wedding Ceremony at 11 am and their Wedding Soirée at 8 pm. On Sunday they invited to a farewell brunch at 11 am. The wedding couple designed their invitation with multiple cards, one for each invitation. They setup their four invitations on the reply page of their event. On the recipient list they were able to invite some guests to all four events and others, e.g. only to the Wedding Ceremony. 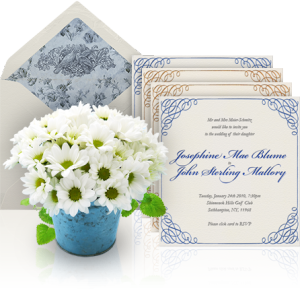 Additionally the wedding couple has the option to design a beautiful paper invitation and link it to the online wedding invitation. The wedding couple can choose any available domain, e.g. www.weddingexample.com and print it on their reply card and link it to the online wedding invitation. 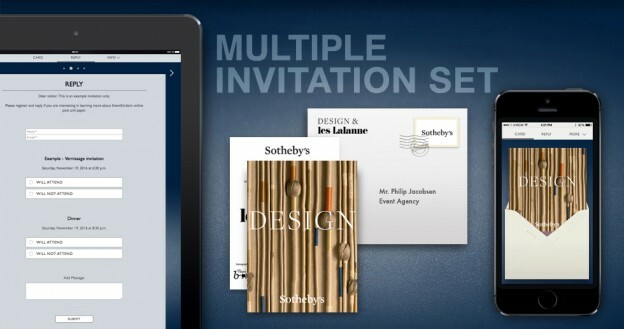 We can ensure you that you will be extremely satisfied with all the features connected to a multiple invitation event. If you have any questions, please do not hesitate to contact us. The feature Multiple invitation event is included in our PROFESSIONAL PLAN. 3. You will see a confirmation pop up – please confirm. We hope you enjoyed the article and look forward to working with you.